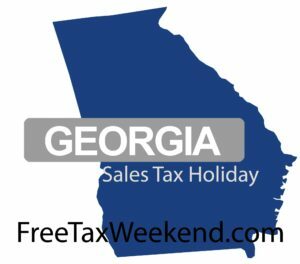 The Georgia Department of Revenue cancelled the Georgia Tax Free Weekend 2017 dates, items list, and limitations. Georgia Tax Free Weekend 2017 is cancelled. Georgia Back to School Sales Tax Holiday 2017 for Clothing, Computers, and School Supplies July 29, 2017 through July 30, 2017. 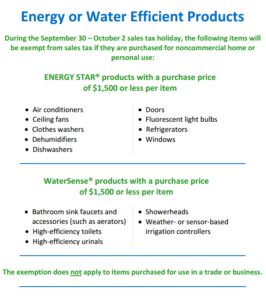 For additional information as to what qualifies as “Energy Star” and “WaterSense” or any other questions pertaining to the sales tax holidays, you may contact the Taxpayer Services Division here. Georgia has no issue with you using coupons or taking advantage of buy-one-get-one-free sales during the Georgia Sales Tax Holiday. Use this to your advantage and make the most of this great tax free savings event.